1475 Lake City Industrial Ct.
Are you thinking about replacing the windows in your home or office? If so, laminated glass is a great option to consider. This type of glass is comprised of at least two sheets of glass with a layer of a special film in between them, offering extra strength and thermal insulation. But these aren’t the only benefits of laminated window glass. 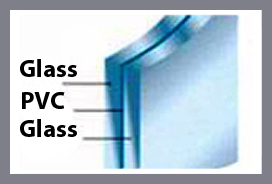 Today we’ll look at a few more reasons to use laminated glass in your windows. If you live in a particular noisy area, old single pane windows might not do enough to keep loud sounds from entering your home. Laminated glass is a great solution to this problem. It can block out more noise thanks to its extra thickness, keeping your home quiet and comfortable. Most modern windows are designed to last for quite a while, but windows with laminated glass tend to be particularly durable. Laminated glass is better at withstanding impacts than tempered glass, and it provides better insulation and protection in bad weather conditions. Interested in learning more about all the window glass options we offer at Affordable Glass & Mirror? Give us a call today at (404) 361-5151 to speak with a representative! Laminated vs. Insulated Glass – Which Is Best for You?